If there's one thing I've learned in the last year it's that life happens fast. Life doesn't stop for anyone. It's so easy to get caught up in planning for the future that we forget to stop and enjoy today! I have tried my very best throughout our engagement to genuinely enjoy every part of it and not wish it away. I will never get these days back. Obviously I'm excited to marry Adam and become his wife, but I don't want to look back on my time as an engaged girl and regret that I wished it away. 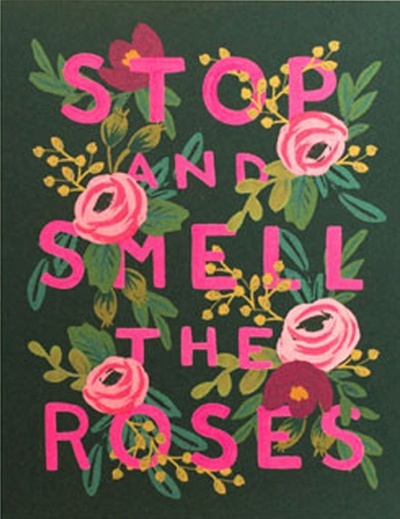 Stop and smell the roses--enjoy EVERY season of your life. Even if it's a hard season, find joy in the ordinary things. I promise you will be a lot happier and not as worried about the future if you just focus on what's right in front of you. SO I read this and was like I think everyone needs to do this! I love this quote! 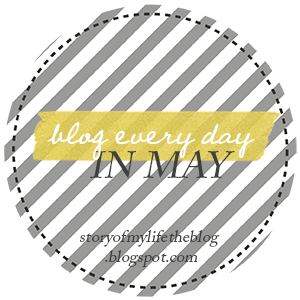 I am SO glad you are doing Blog Every Day In May! I have a list of blogs I check every morning and yours is at the top and I am always sad when there isn't a new post. Now I know I will get one every day! You inspired me to do it too!